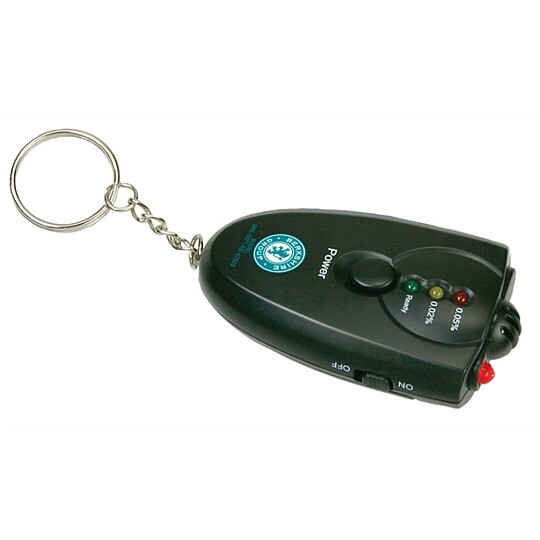 Breath alcohol detector on keychain with bright LED light. Keychain with practical LED light and alcohol detector. Colored lights (green, yellow and red) indicating BAC levels. Detector intended for screening purposes only. Requires 2 AAA batteries (not included). Individual gift box. Box dimensions: 20 x 14 x 15 in.. Unit weight: 0.190 Pounds.